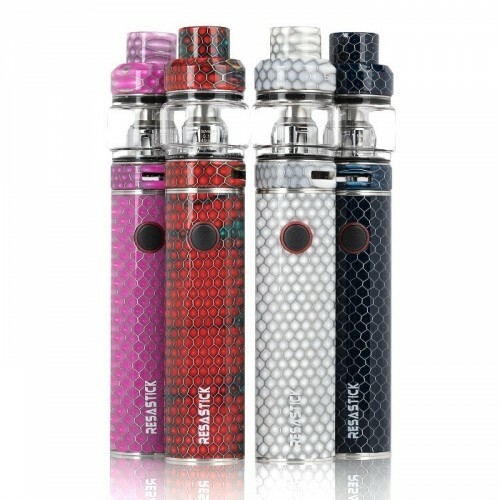 Another addition of the SMOK Stick series has arrived! The SMOK Resa Starter Kit takes the renowned SMOK Stick series as the cloud hunter and combines it with the SMOK Resa Sub-Ohm Tank. The SMOK Resa Stick features a 2000 mAh integrated battery with smart mechanical style output (output dependent on current state of battery) and intelligent LED light indicator that indicates battery life. The LED light will flash 4x each time the user takes a puff and 15x when the voltage of the device is below 3.3V. The SMOK Resa retains the over sized button design and carefully carved battery base, making it more exquisite than the other Stick series devices. Included with the SMOK Resa is the SMOK Resa Baby Sub-Ohm Tank, the most capable Sub-Ohm Tank ever released. The chassis design of the Resa Baby features multiple diameters, measuring 25mm at the base and 28mm at the widest point. The Threaded Top Fill System that isn't featured from the previous editions is fully implemented into the Resa Baby, with dual fill port and a maximum tank capacity of 8 milliliters of E-Liquid. 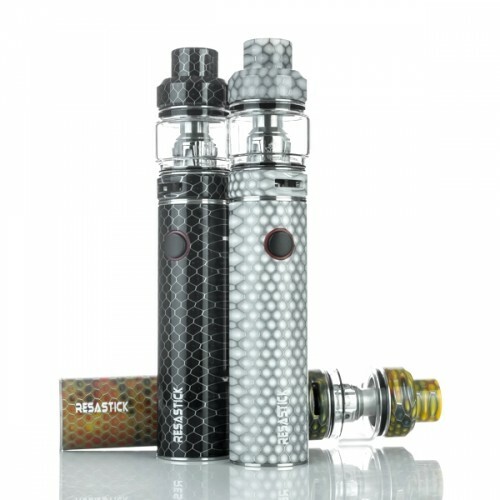 Airflow for the Resa Baby is configured around the base of the chassis, providing ample airflow even for the maximal range of the atomizer. 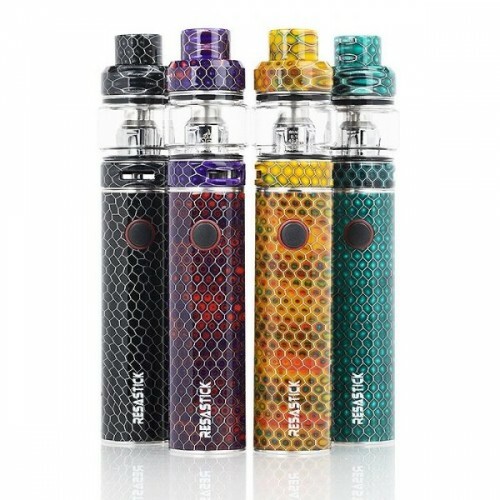 Included with the kit are two coils, the V8 Baby Mesh Core, a 0.15 ohm coil head rated at 40 to 80W and best at 60 to 70W along with the V8 Baby M2 0.25 ohm dual coil head. The SMOK Resa and Resa Baby Starter Kit is a powerful combination that is bound to have you cloud hunting.